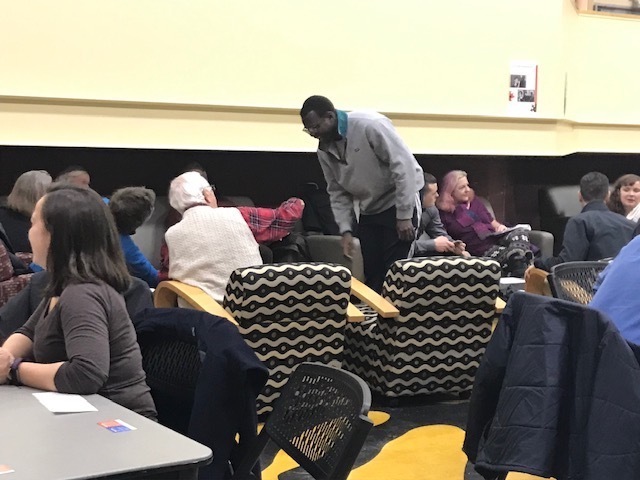 Members of the Bowdoin community came together recently to reflect on the good work being done by the McKeen Center for the Common Good's Alternative Winter Break trips. Last Thursday night, students, faculty, and community partners, came together over dinner to celebrate the program. 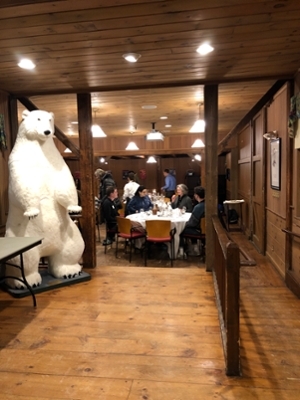 The McKeen Center hosted a dinner in Cram Alumni Barn to celebrate the winter AWB trips. Photo: Clayton Starr '19. Associate Director for Service and Leadership, Andrew Lardie, began the evening by thanking the thirteen different Maine organizations that hosted and worked with the McKeen Center and participating students. Lardie also praised the student leaders, who not only led the trips but also ran seven-week–long seminars to help prepare their peers. 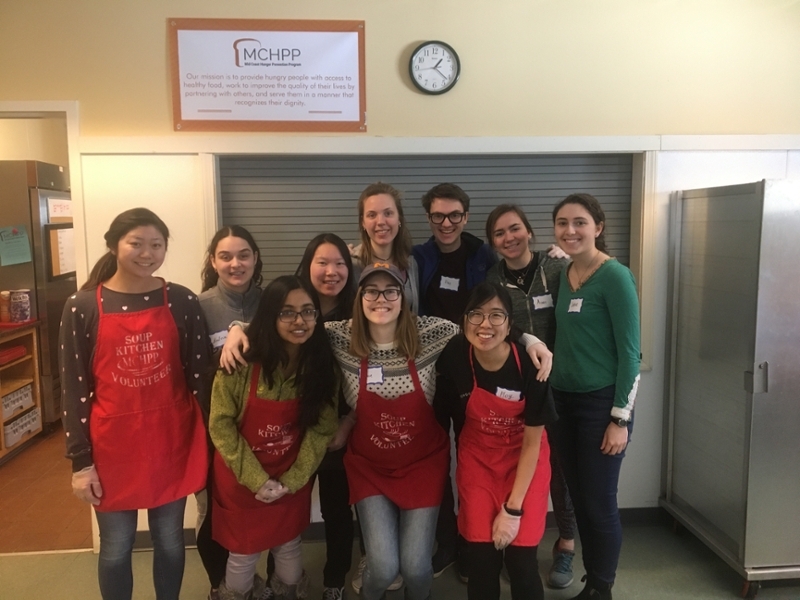 Launched by the Center seven years ago, Bowdoin’s Alternative Winter Break program offers students the chance to spend a week in January doing intensive, meaningful work. This year’s trips, both of them in Portland and nearby communities, helped two particularly vulnerable populations: immigrants and refugees and those affected by addiction. Five students, plus student leaders Sam Kenney and Jenna Scott, who are both seniors, headed back to Bowdoin a week early this year to engage with New Mainers of all ages and backgrounds. 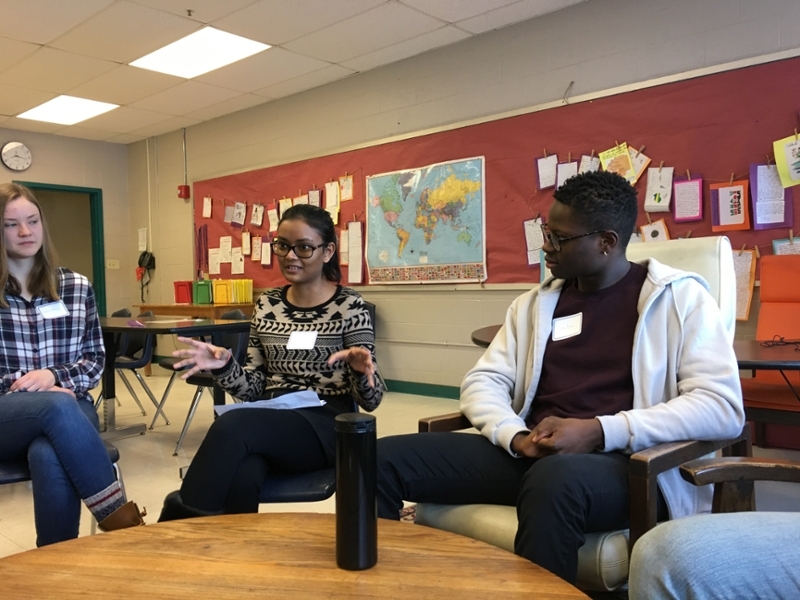 The trip included working with a number of agencies, including Portland Public Schools, Portland Housing Authority, Portland Adult Education, and the financial literacy nonprofit ProsperityME. The other students on the trip were Saidou Camara ’19, David Pachter ’19, and Uriel Lopez Serrano ’20. 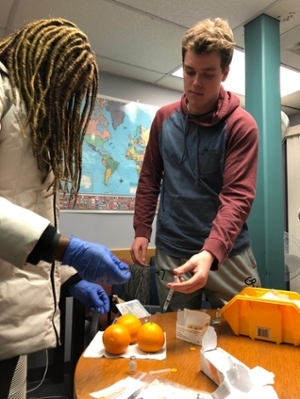 A total of ten students, including two student leaders, worked with government and grassroots organizations that serve Mainers experiencing addiction and recovery. 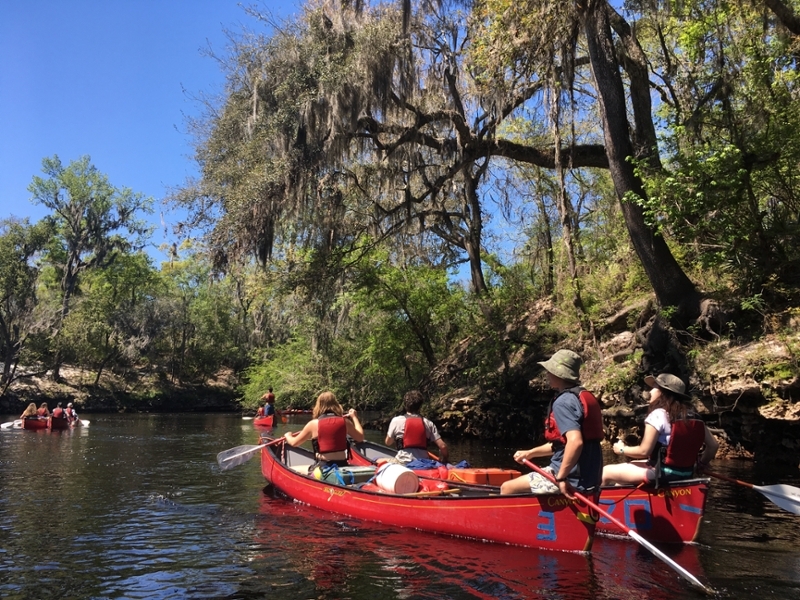 Student leaders Annie Rose ’20 and Nina Alvarado- Silverman ’19 proposed the trip last April and planned the itinerary during the fall semester. They organized five seminars to help students prepare for the trip. Tam Phan ’21 wants to work in the public policy sector and said she’s grateful for the perspectives encountered throughout the AWB trip. “Hearing the personal stories of people who’ve experienced addiction and homelessness made me realize that the solutions to these issues require mental health, medical, and societal attention,” she said. Also taking part in the trip were Audrey Reuman and Michael Covell from the Class of 2021, and first-year Patrycja Pekala. With additional reporting by Clayton Starr '19.